T. Duplessis Entertainment was developed in 2011 by Trinese and Orion Duplessis. Born and raised in New Orleans, La. After three years of putting on Church Plays in New Orleans, Trinese decided to build her own name. She said God spoke to her, and it was time to do ministry outside the four walls of the church. Trinese Duplessis is a Producer, Director, Playwright, and actress. 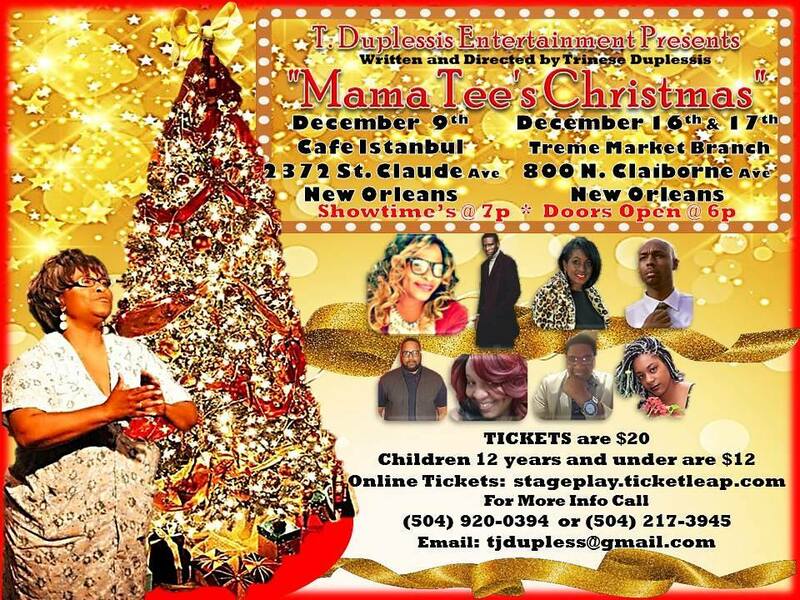 T. Duplessis Entertainment has 6 strong Stage Plays under their beIt. The plays are thought provoking, soul searching and always have strong messages. All of the productions are original work, written and directed by Trinese Duplessis. T. Duplessis Entertainment not only produces Stage Plays, it produces Artist Shows, with Entertainment, Poetry, Music and mini skits. Some of the Artist she works with now, were discovered on some of the Artist shows. T. Duplessis First Major Stage Play was "Lets' stay together" it was sold out and also it was a Dinner Play. ​T. Duplessis is a Quality Company that produces Authentic Work.